"Ever since I started making fly rods, I wanted to make the finest rods available - not just good rods, but the absolute finest rods available. I truly believe that these are the finest graphite and fiberglass fly rods currently in production, and others are starting to agree. I have put all of my creative talents into designing and building these rods, and I think that my efforts are apparent not just in how they perform, but in how they make you feel. Much like holding a rare cane rod or a fine side by side shotgun, a McFarland fly rod possesses that same magic and resulting feel of wonder and amazement. It is just one of those things that you can't quite explain; that unmistakable ambience that surrounds only the very finest objects. When you have one in your hands there is no doubt that you are holding something special." At McFarland Rod Company we specialize in rod design. In fact, we are obsessed with rod design. Our rod tapers are developed by company owner Mike McFarland with the assistance of a small group of talented pro staff members. We measure the success of our company by the quality of our rods, not by our profits. Rather than spending time researching market trends, we choose to perfect our rod designs by continually experimenting with new materials and tapers. 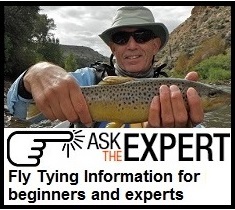 The result is the finest collection of quality fly rods in the industry.